Fall is my favorite: the sites, the smells, the FOOD! Being able to sample the wonderfully delicious apple confections available from http://www.tasteeapple.com was truly a treat! 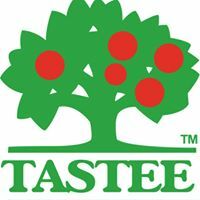 Since 1974, Tastee Apple has been bringing the public the best quality apple sweets and now, after 40 years in the business, these apples are available for purchase online within weeks! (This means finish reading my review and then go buy them!) Caramel apple flavors include caramel (with or without peanuts! ), candy, jelly (with coconut! ), and turtle (with peanuts and mini chocolate morsels!) My house of 4 cut into the turtle apple and actually started fighting over the “size of our piece”. This was gooey sweet amazing-ness with the perfect amount of chocolate and peanuts accompanying the traditional caramel apple. I think the best feature of these apples is that Taste Apple uses granny smith apples to match elegantly the “tart” of the apple to the sweetness of the candy. Gourmet apple options include white pretzel wonder, double chocolate delight and classic cookies and cream. We sampled the white pretzel wonder; perfectly dipped in yummy white chocolate and covered in a great blend of pretzel pieces. For me, it satisfied x 1000 my love for that salty-sweet snack. My family all agreed we have to go order the double chocolate (white/dark chocolate combo) as well as cookies and cream (white chocolate and crushed chocolate cookie as well as a crushed graham cracker option). Triple chocolate and Chocolate pecan is also available for the true candy apple lover! All Tastee Apples are certified kosher and gluten-free. These are a GREAT holiday gift or bring along for Halloween, Thanksgiving and straight into the December and New Year’s festivities! They remain fresh up to 30 days once refrigerated. Once again, they will be available for purchase online in a few short weeks so begin making your holiday lists now! Gravy even this girl can make! Don’t worry…you can still shop for Turkey Day on Amazon…..